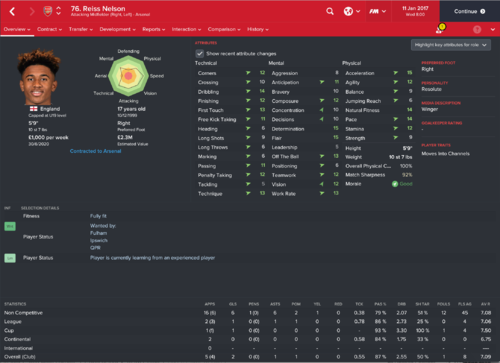 I can see Reiss Nelson has been mentioned already but I just wanted to post a screenshot of him in my current Arsenal save. In my first season, I had a really bad run of injuries so he got some game time.. also having him tutored by Santi Cazorla. Looks unreal if those stats aren't random - great find! Any chance anybody could post a screenshot of his stats in English, please? Ah real shame that his stats aren't locked-down! Thought it was weird as I'd done a bit of a scouting mission in Venezuela and not come across him - best prospects in that league look Carlos Cermeno and Yeferson Soteldo, though neither will be a world-beater. 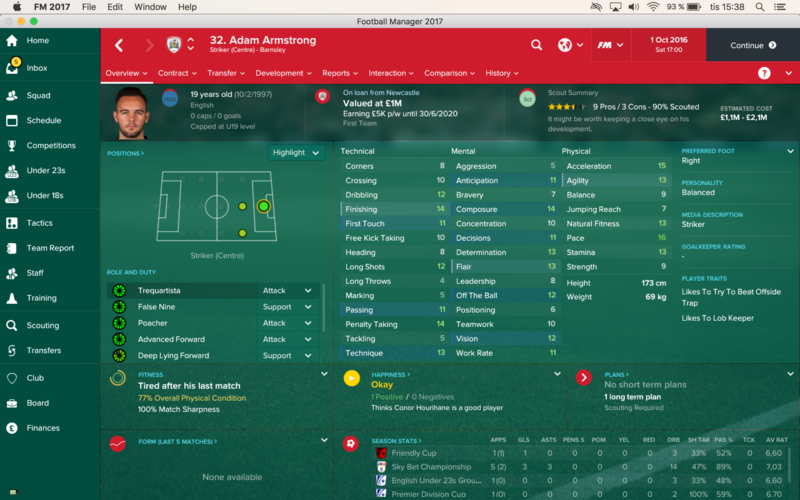 I came across Adam Armstrong who looks like good young english gem, he's starting the game at Barnsley on a six month loan from Newcastle so you'll have to wait until January to get him. 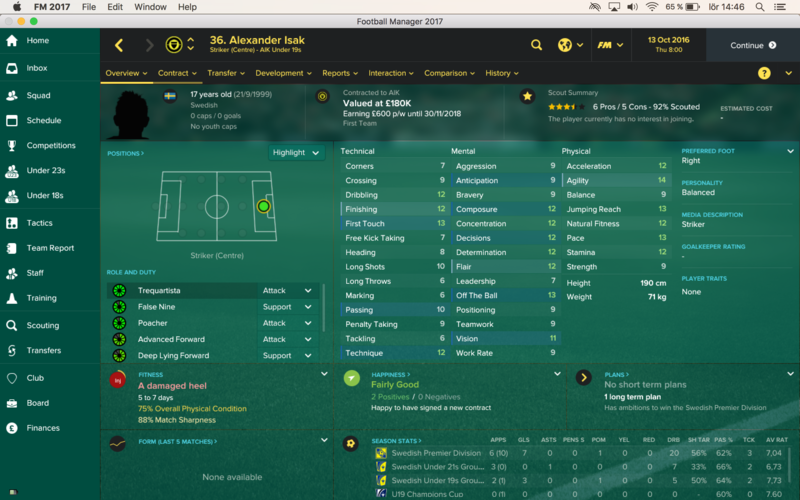 However on my save he's doing really good on his loan, 3 goals and 3 assists in 7 games! Might be worth a shot. Secondly we have Pierluigi Gollini of Aston Villa. 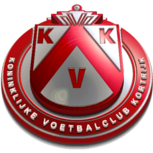 A really good young GK prospect imo who's stats are equivalent to the FM famous Predrag Rajkovic, Gollini's one year older than Rajkovic though but I don't mind that as a GK. 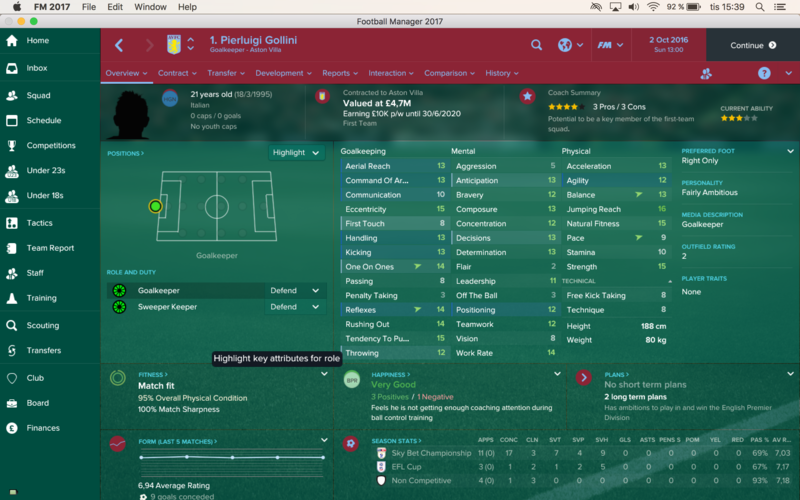 You might struggle to get him at the start of the game as he just joined Villa but if they fail to get promoted you'll sure be able to get a deal. Worth to mention is that he's homegrown in England as well, a former Man United youth player. Good find but his eccenterity is a bit high? Any future SS of him? Maybe anyone else have a future SS? I'm interested too. 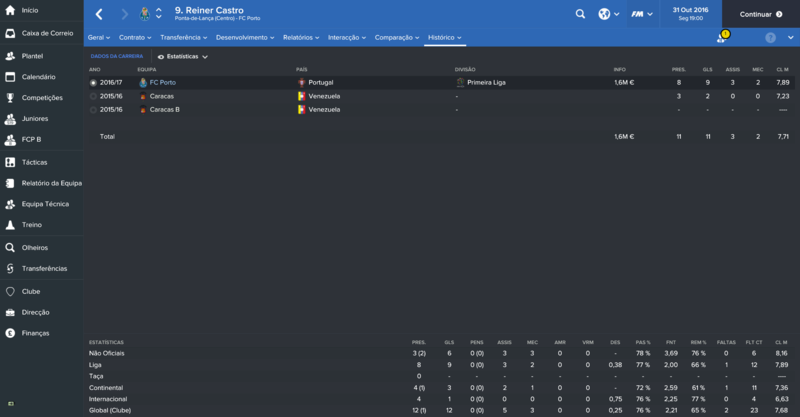 Can someone tell me if they have managed to sign Eder Alvarez Balanta? If so how does he turn out? any screenshots would be good. 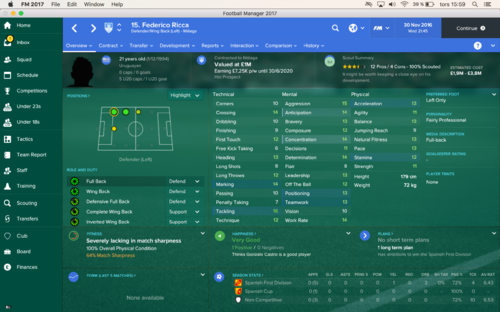 On the past two FMs I have loved this guy. Thanks goes out to the legendinho (Tim Vickery) from The world football phone in, for telling me about this guy. 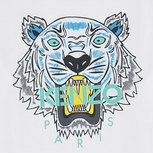 I presume you will have all heard of him. He's been fairly poor for a couple of seasons now, after a promising start to his career, he was compared to Daniel Passarella, he should have gone to Europe sooner, at Basel he has a chance, but he's 23 now and needs to step up. 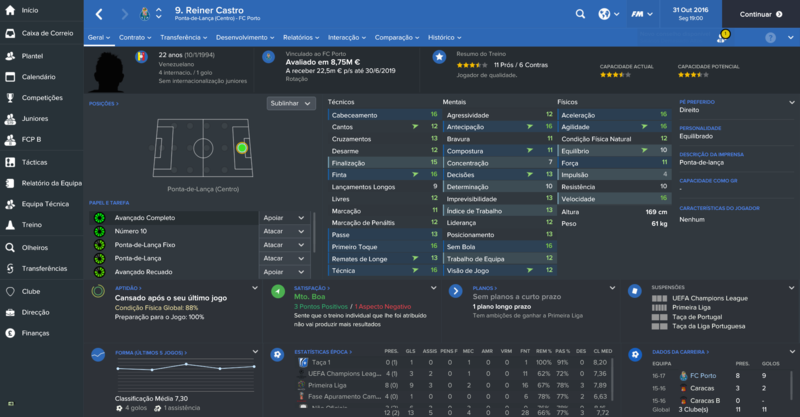 In game he has a fairly high PA but nothing special, he will not become 'world class'. 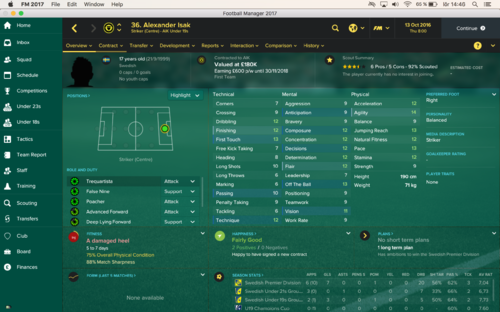 Signed him first season with Wolves, was pretty poor for me, liked his stats but never got going. I know he has done poorly for the past two seasons, down to injury aswell. still would be interested in any screenshots if anyone has one? 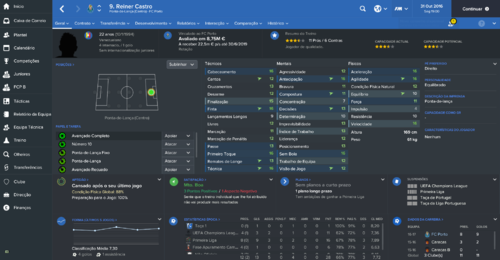 Juan Cazares can be signed for around 2M, this is him in 2020. This is Balanta in 2020. It does seem he hasn't turned out anything like he could of. 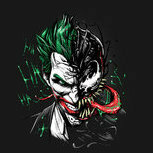 ill keep an eye on him in my game. Each of these players have become top-quality players for CSKA Moscow by 2020, Alena and Ndiaye probably are the best bets for significantly bigger clubs. Dont think he has been mentioned yet, but Accursio Bentivegna is a solid looking RW at Palermo. 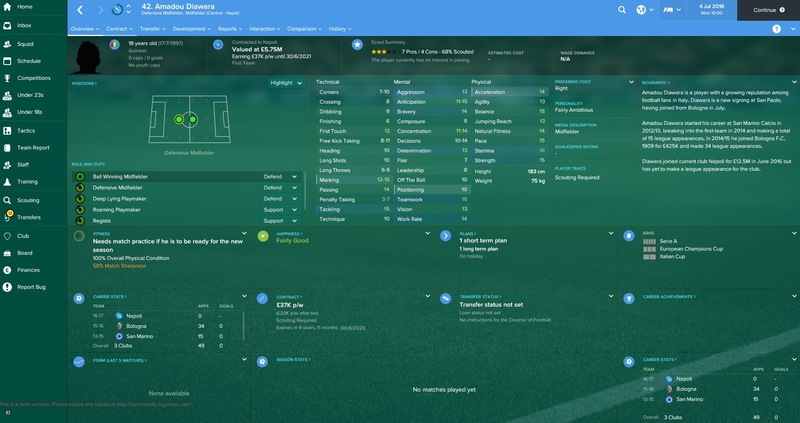 Signed him for my Celtic side for around 5m in the first window. Stats look pretty decent for a 20y.o and plenty of potential too. Scored on his debut against The Rangers and has scored some pretty special goals over the first couple of months of my season too. Already posted Bentivegna, he's a great winger! 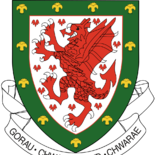 Anyone know of some EU National Defensive Wingers, mainly left? 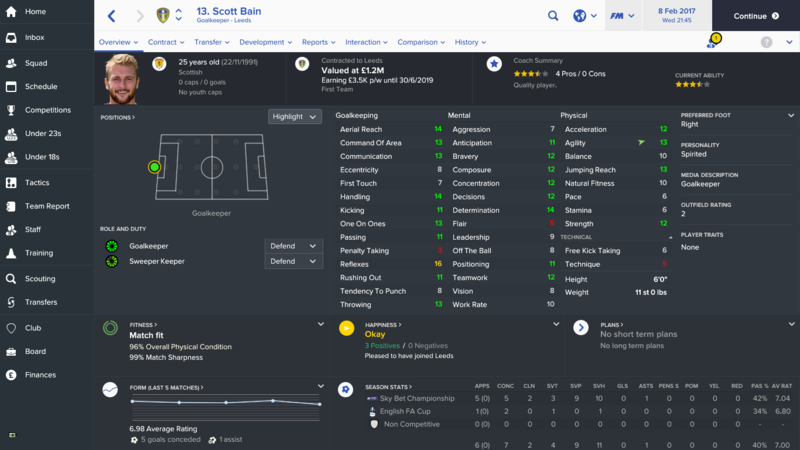 Bains pretty good, although he's maybe well known from last season. 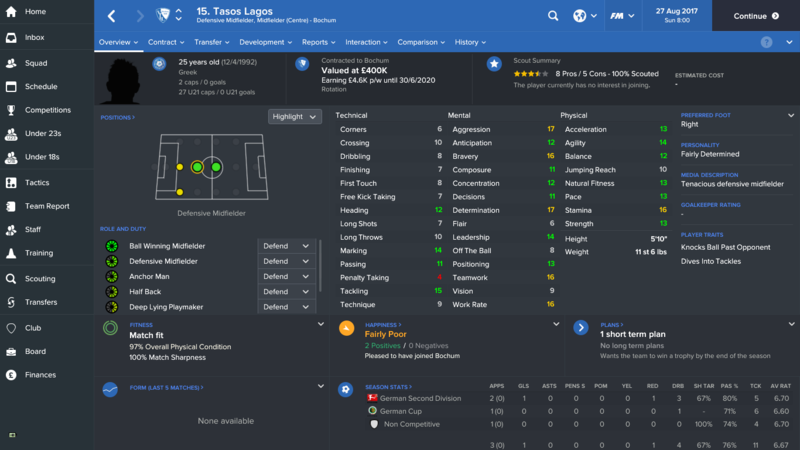 Gets unhappy at Dundee fairly quickly and I got him for £600k in January of the first season. I don't know how much you guys that don't live in Sweden have heard of Alexander Isak but he is so far the best talent Sweden have produced since Zlatan Ibrahimovic. In real life he's wanted by almost every top club in Europe with Juventus leading the race. Anyway, his stats look very good for his age and with a good tutor he can imo become a topnotch striker in the future. He looks decent. But he will never be a world class striker in the current version unfortunately. Maybe mid premier league standard? 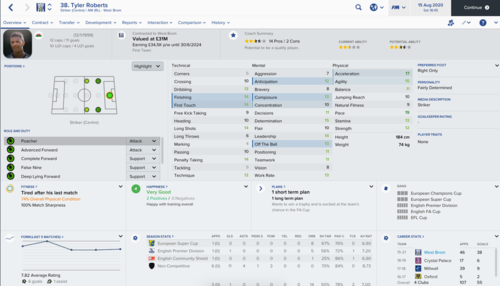 I'm pretty sure on the next update he will be one of the best prospects, because then he would be more famous. I think it's strange that he is not rated better. Yes indeed he will have a big a boost on the winter update and he'll maybe even be impossible to sign as a smaller club with the big boys lurking around him. Regarding his development I'm not as sure as you that he won't be world class* this version. It might take a little longer to develop him but if you're in for the long game it can pay off I'm sure, especially with his balanced personality and level-headed media handling style he's good material to tutor and a big chunk of game time will do him good. 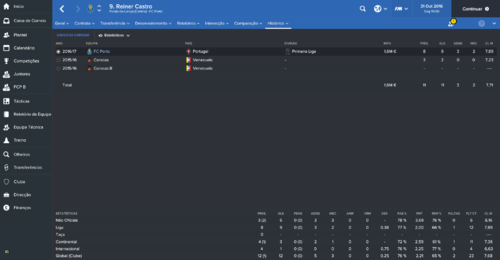 I've seen worse strikers (Patrick Crutone) and slightly better (Federico Bonazzoli) become on the verge of world class* on FM 16, for example. *= There's very different opinions on what a world class striker really is. He's been great for Bologna last season and the stats are on spot if you ask me. He played in the starting 11 against Juventus a couple of weeks ago and put in a good performance. He starts at Wurzburg in the German Second Division, who are the worst team in the league and get relegated more often than not. He then demands a transfer and is available for ~£150k and ~£4kp/w. In terms of a "ball winner" he seems very decent, although maybe a red card risk in certain set ups. Wonder if he'd be any good as a centre half? Edited November 13, 2016 by RandomGuy. In Russia at the moment and stumbled upon this guy, apologies if he's been on previous pages. Looks pretty good - especially for the price (around £60k). 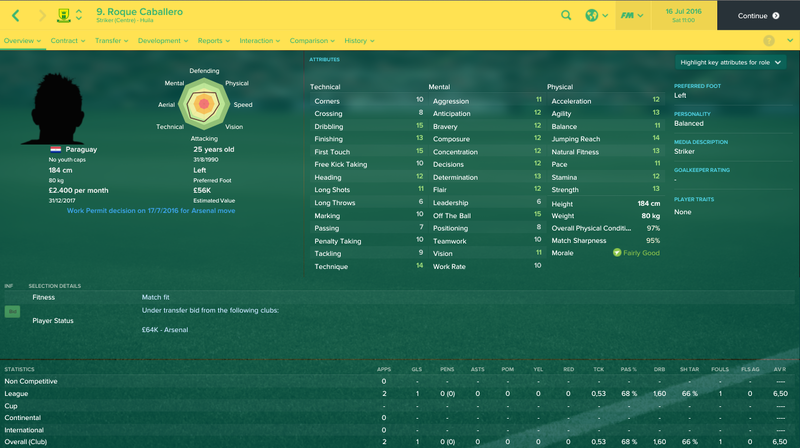 Signed him in my second season with Brøndby in the Danish Superliga, but he got his work permit rejected when I tried signing him with Arsenal. 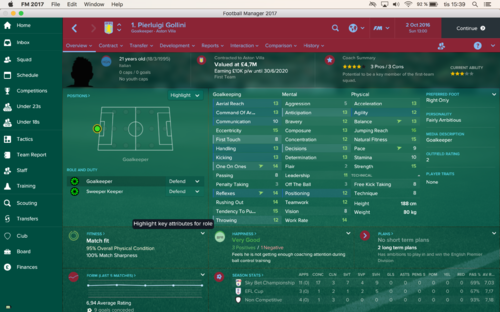 can you guys recomend any defensive midfielders for my Aston Villa save on the 1st season? Good left full back for a reasonable cost and he'll come to the Championship too. Still got room for development, mainly his passing and dribbling I'd say. To name a few which are cheap and have a lot of potential. Can really recommend him again this year. 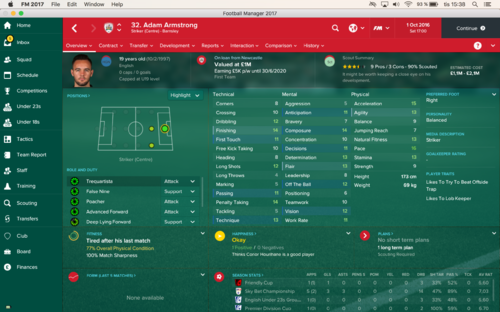 Bought him for Rangers for under £1m and after a decent scoring season I sold down to the Premier league for over £7.5m.